The parents of a Gloucestershire student murdered in France 20 years ago say they fear they may never know the truth behind their daughter's death. 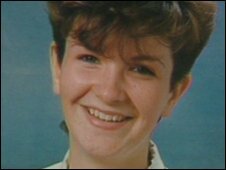 Joanna Parrish, 21, from Newnham-on-Severn, was found raped and strangled in a river in Auxerre on 17 May 1990. French serial killer Michel Fourniret was made a suspect in, but never tried for, Miss Parrish's murder. Vital DNA relating to the murder scene was lost and her parents fear the case will now be wound up without a result. Miss Parrish's father Roger said: "Our best guess is that when this dossier is referred back from the prosecutor's department to the magistrates, it will probably come with a recommendation that the investigation be formally closed." 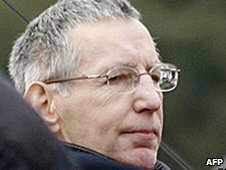 Fourniret was jailed for life in May 2008 for murdering seven young women, aged 12 to 21. His wife Monique Olivier, who helped to lure the victims, was given a life sentence for complicity. Olivier had mentioned other killings she was involved in that bore the hallmarks of Joanna Parrish's murder. Miss Parrish's mother Pauline Murrell is considering writing to her to ask for the truth about her daughter's death. "It's gone through my mind, how do I start my letter," she said. "Do I put 'dear monster'? How do you appeal to somebody's better nature if, in her case, I can't imagine she has a better nature?" Mr Parrish added: "If we knew one way or the other, that would be better than this limbo situation. "We're asking a murderer if one of her victims was our daughter." Miss Parrish was teaching English at a school in Auxerre, during a year out from Leeds University, when she was killed. Her parents have been frustrated at the way the investigation has been handled by the French authorities. Files went missing, leads were not properly followed up and the lost DNA evidence would likely have determined whether Fourniret and his wife were actually guilty of their daughter's murder, they said. "There doesn't seem to be the same will or motivation to solve these crimes," said Mr Parrish. "But that's the system and you have to work with it." Ms Murrell said: "I think we've had to push it on. "We go over there and we think something's going to happen, we come back to England again and everything goes quiet. "There's certainly been a lack of expertise, a lack of will to get this sorted. I don't really understand it." French prosecutors are still considering the case against Fourniret and Olivier and a decision on whether they will be charged should be made in the next few months.